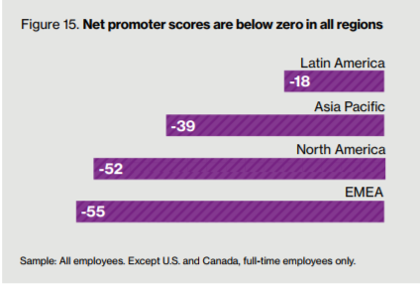 Quiz: Which industry has the worst Net Promoter Score? (SPOILER ALERT: It’s wellness.) « They Said What? However, we never talk about the wellness industry as a whole competing against other industries in a race to the bottom. Why not? Because it turns out that the wellness industry has already won that race. How do we know this? Simple. By looking at Net Promoter Scores. Net Promoter Scores are the most widely used, and considered the most valid, measure of user satisfaction. Let’s see how wellness compares to a benchmark of other industries. 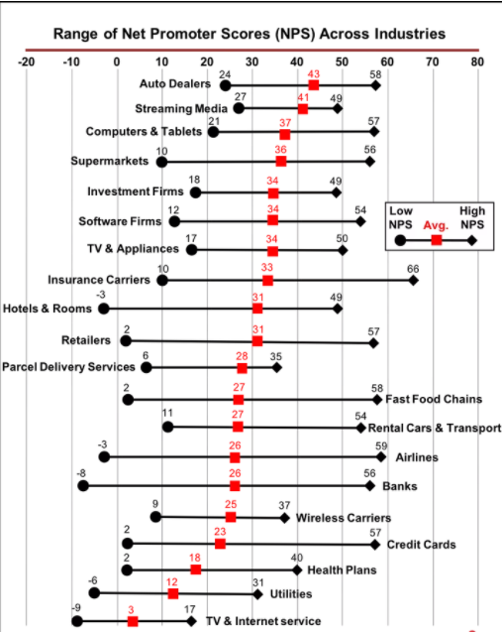 The Benchmark: Where are other industries on the Net Promoter Score scale? The worst performer of any industry is, not surprisingly, TV and internet services. The average for that industry is +2. Even so, we have Comcast and I love it. If you want to watch a show — say, Billions — you just literally say “Billions” and <presto> the show appears on your screen. 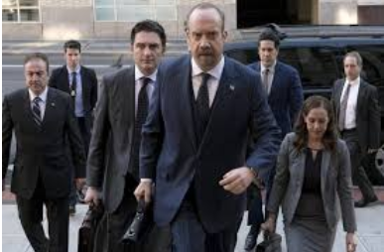 Plus Comcast’s picture quality is now so sharp that every time Paul Giamatti realizes that Damian Lewis has outsmarted him again, you can almost see the steam coming out of his ears. Nonetheless, the cable TV and internet services industry at least earns a positive score. It’s not that bad. Where is the wellness industry on the Net Promoter Score scale? On the other hand, the wellness industry is that bad, according to the data. This isn’t us or one of the many other wellness skeptics doing the Net Promoter Score measurement. It’s the highly respected consulting firm WillisTowersWatson, whose comprehensive report covers all aspects of the industry. My question to VirginPulse and Bravo is, where is this “87%,” and/or this “vast majority of employees” who love wellness, and insist on being pried, poked and prodded? We’ve looked in a number of places — here, here, here, here, here, here, here, here, and here — and can’t find anyone. Oh, wait–yoo-hoo, over here — I found him! More importantly, employers, except for Quizzify’s customers and partners, are losing their “Safe Harbor” as of January for tying clinical wellness programs to large financial forfeitures. Aggrieved employees will have much greater recourse in the federal courts than they have today. As the Net Promoter Scores show, there is no shortage of aggrieved employees, and likely no shortage of attorneys willing to “assist” them in collecting a financial settlement. There is also no shortage of expert witnesses here at They Said What? to support them. And we’ve never lost. By whynobodybelievesthenumbers in Uncategorized, wellness doesn't work on January 20, 2018 . If I were an attorney right now, I’d already be networking and lining up employees for class actions against their employers as soon as the ball drops at midnight. Sounds like those employees will be pretty easy to find. The fact that I’ve already been contacted by one tells you something.